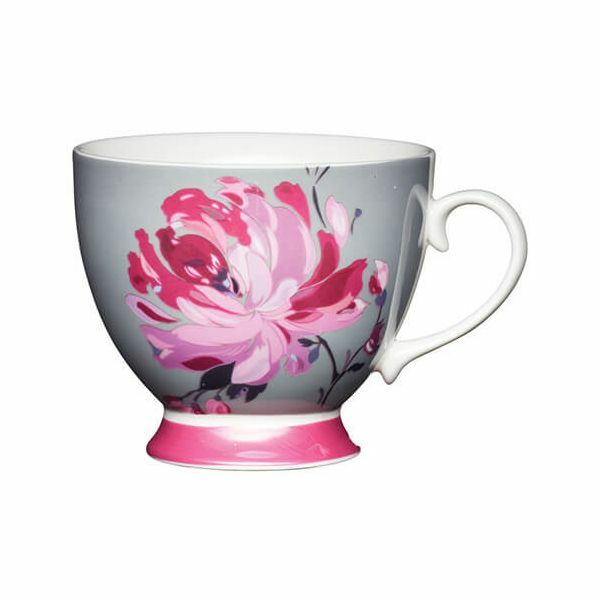 Featuring a grey background with a pink base and a pink flower, this pretty mug is perfect for gifting or for home as part of a matching collection. The pink flower KitchenCraft mug has a capacity of 400ml. Lovely mugs just the shape that I wanted. However may not suit those with bigger fingers as the handle has a little curl on the inside. Shape of mug also means drinks cool quite quickly. Excellent service by Harts and would highly recommend them.